Come on, you can do it! We're almost there! We know this week can be a little hectic, so some of my blogging friends and I want to share some tips to make this week before Christmas a little easier for you! My students love "Christmas" themed activities! 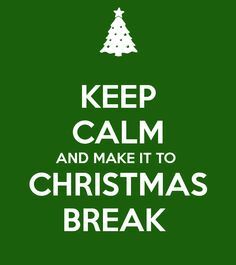 So, as soon as I change up a reading or math lesson and make it "Christmassy", they get excited and there's no groaning! 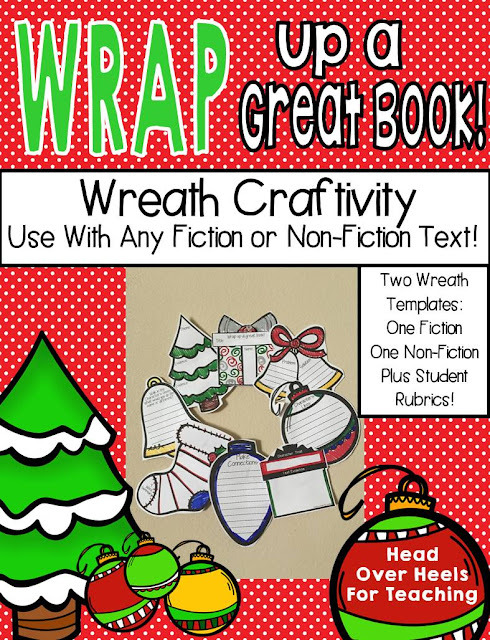 :) It's amazing how changing the name of an activity, wrapping books up, adding Christmas clipart, copying on red or green paper, or making paper chains for each Reading Counts or behavior point earned will change the mood and mindset of kids! 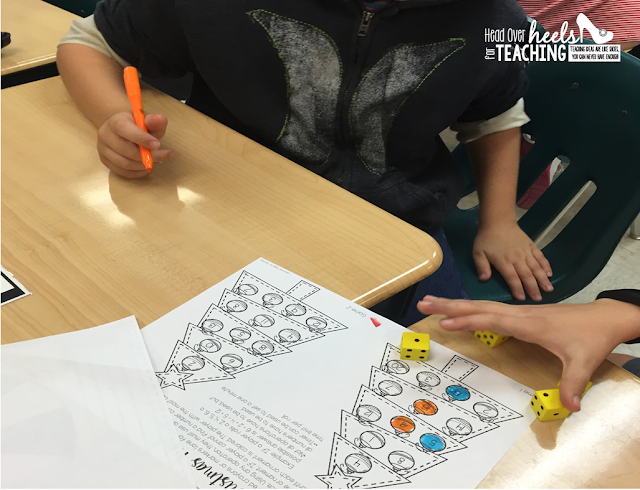 I created this math game for math intervention and early finishers. 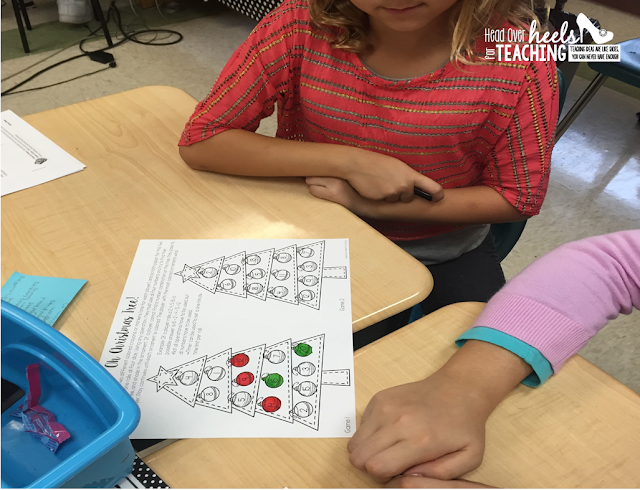 Using dice, they calculate a number using any operation and then color in the ornament. Whichever players has the most colored ornaments is the winner. They BEG me to do math (play)! Want something to brighten your spirits too? This "Christmas" themed reading wreath will excite everyone and make an adorable display! Use with any fiction or non-fiction text. 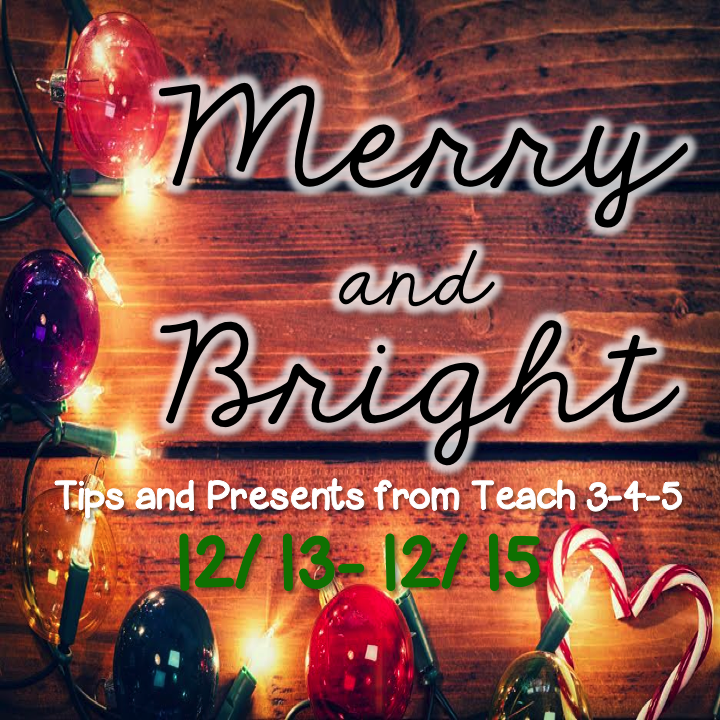 Your students won't mind thinking critically when they can sprinkle some creativity in their assignment! This is part of a Reading Wreath Bundle! Check out some other fun ideas from other great bloggers! Love the game; my kids will love it! Give them some dice and they're happy to practice math! :) Thanks for sharing! The theme of the Christmas is looking perfect and the combination of the colors attracts and sense of the people but best term paper sites have good knowledge about thesis work. This kind of the art is very nice and you should utilize your work for the different ways. In this way, you able to get good money. Add a Christmas tree to a worksheet and the kiddos think it's a Christmas activity, not work!! Lol! I'd love to hear more about the Reading Counts chain!